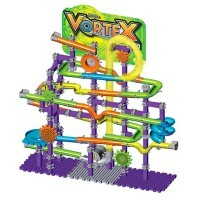 The Twin Turbo Trax 2.0 edition of the popularTechno Gears racing marble set includes over 400 gears and other building pieces for children to create their marble speedway with. 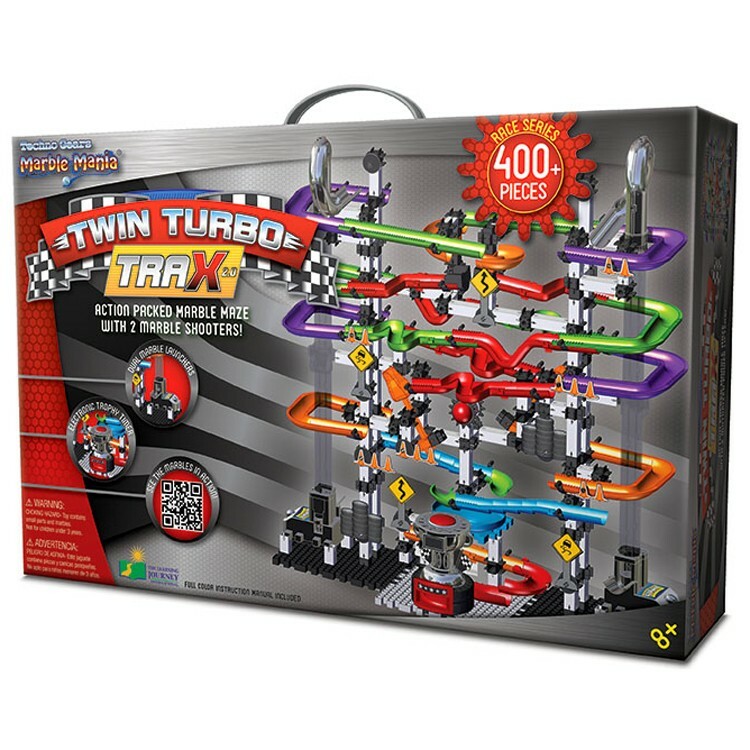 Have exciting races with your friends or siblings with the Techno Gears - Marble Mania Twin Turbo Trax 2.0 set by the Learning Journey! This new 2.0 edition of the Marble Mania series includes many new features to help children get their friendly competitive spirits flying. 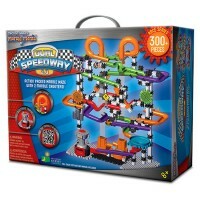 The racing marble set includes over 400 gears and other building pieces for children to create their marble speedway with. 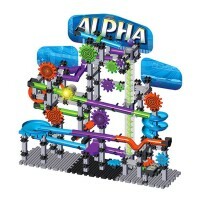 Children can use trial and error skills to go through many practice runs and races and perfect their speedy marble runs. 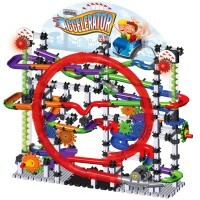 When the marble rollercoaster raceway is as good as it can be, its race time! 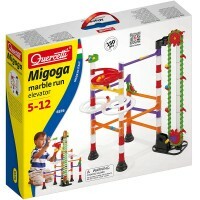 Put your marble and an opponent's into the double entrance and see whose makes it out quicker! 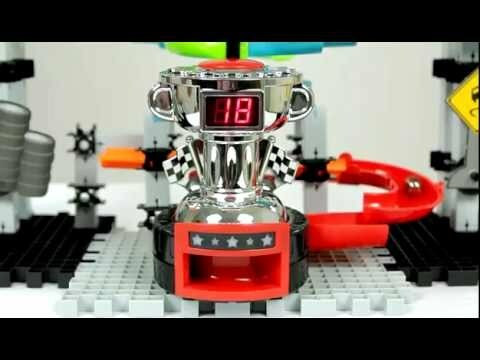 Fun LED lights and sound effects on the raceway add to the fun and excitement of this friendly competition. 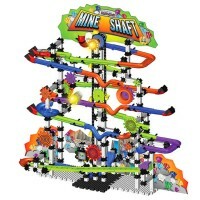 The Techno Gears - Marble Mania Twin Turbo Trax 2.0 construction kit from Educational Toys Planet also a pendulum marble drop, electronic trophy timer that shows the winning time so no disputes occur. 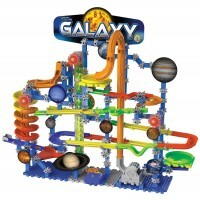 After a couple races children will become 'veteran' marble raceway builders and will know some physics tricks to win more competitions. 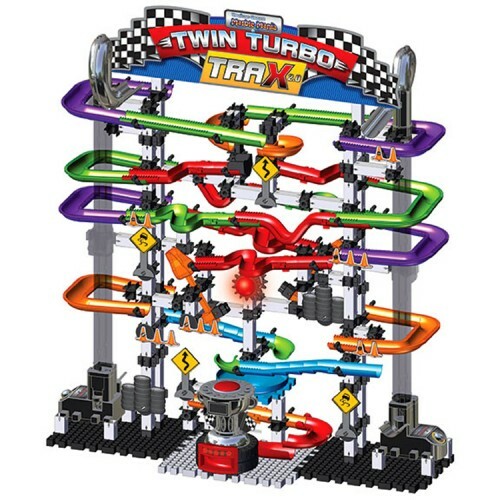 For even more marble fun, combine the Marble Mania Twin Turbo Trax 2.0 pieces with other Techno Gears building sets and create bigger and better rollercoasters! 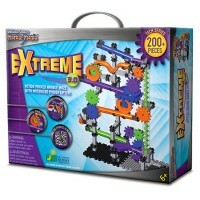 This gears marble run requires 2 AA batteries (not included). Creative Child Magazine - Top Toy of the Year Award. 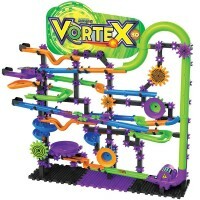 Write your own review of Techno Gears - Marble Mania Twin Turbo Trax 2.0. Rating: 5 by Louis, NJ The toy looks amazing. I cannot wait to give it to my son.